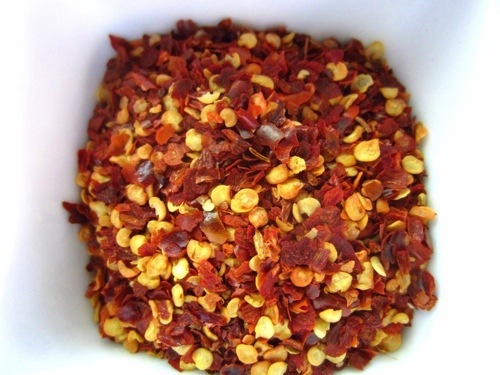 One of the classic ingredients you’ll find in dishes all across the south of Italy is this: pepperoncino flakes, sold in the US usually as crushed red pepper flakes. My friends there add the spicy flakes to olive oil to create a zippy little chili oil that they love to drizzle over just about everything. And many of the dishes you’ll find there call for the red pepper flakes in the recipe. Yet despite the widespread use of red pepper flakes, Lobster Fra Diavolo is not widely considered to be an authentic Italian dish. Some claim it’s an Italian-American dish from Little Italy, while others insist they had something like this in Naples. Regardless, Fra Diavolo sauce is simple to make and is equally good with lobster and linguine as it is with chicken, peppers, onions, and pancetta. 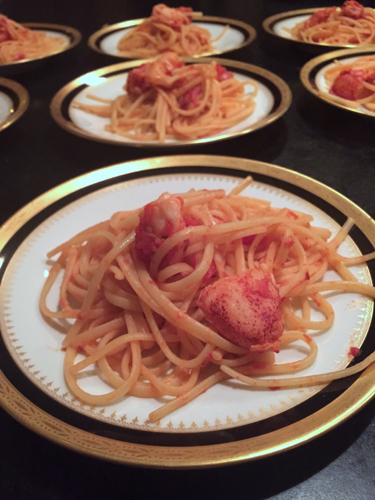 I made the sauce originally for my New Year’s Eve menu for Lobster Fra Diavolo, one of my seven fish courses that evening. If you want to make that dish, dispatch 1 lobster for every two people (or 1 per person if you LOVE lobster). Discard the bodies, but keep the tail and claws. Heat a large pot of salted water to boiling, add the lobster (still in the shell), cover, and take off the heat. After 6 minutes remove the tails to an ice bath, and after 2 more minutes, remove the claws to an ice bath. When cool, remove the lobster meat from the shells and cut into chunks. Toss the lobster meat with hot Fra Diavolo Sauce (enough to coat the lobster) and stir into hot cooked linguine (2 ounces dry per person). Add more sauce if desired and serve. Not having made the recipe before, I ended up with plenty of sauce left over, so created another low-carb dish after the holidays with the sauce. Sauté 1/4 cup diced pancetta until crispy, drain off most of the rendered fat, then add 2 large red or yellow peppers, sliced, and 1 medium onion, sliced, in the same pan. 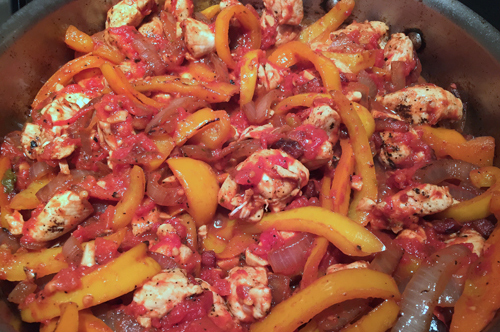 Remove to a bowl and cook the chicken (1 pound, cubed) in the same pan. 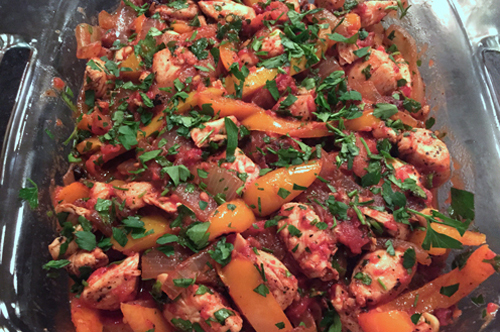 Combine the cooked chicken with the peppers and onions and stir in 1 1/2 cups Fra Diavolo Sauce and 1/4 cup chopped fresh parsley; pour into an 8 x 8-inch baking dish. 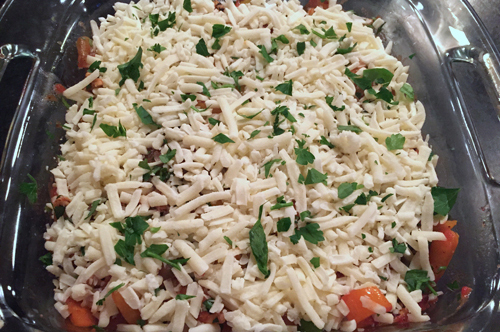 Cover with grated mozzarella cheese (about 1 cup) and garnish with more parsley. Cover with foil and bake at 350 degrees until bubbly. This casserole will serve four, and you can enjoy it alone or serve it over pasta. I’m not sure where Fra Diavolo actually came from, but I promise you that you’re going to be glad you found it. Heat the oil over medium high heat in a large stockpot and add the garlic. When the garlic is fragrant, about 2 minutes, add the tomatoes, red pepper flakes, oregano, salt, and pepper. Bring to a boil, reduce to simmer, and cook, uncovered, for 25 minutes, stirring frequently to prevent scorching. Serve with pasta and cooked lobster, or use in any recipe calling for a marinara sauce that you would like to add some heat to.